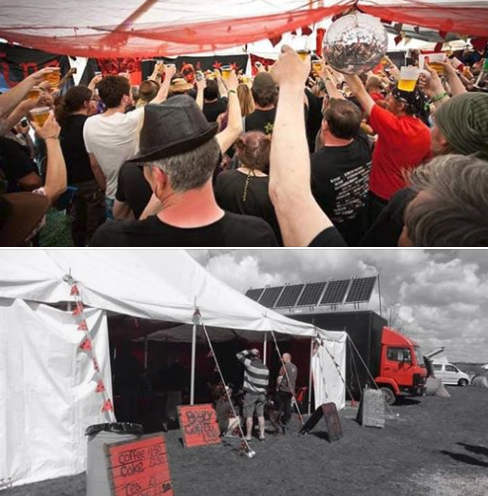 The Something Else Tea Tent has been part of Bearded Theory from its very beginning at the back of a pub in 2008. Gail and her quirky, talented crew not only entertain you and bring you the most delicious range of cakes, real coffee (wonky if you like) and an astonishing array of teas to melt into one of the sofas within, Gail also handpicks a diverse line-up for their solar powered stage, which runs all weekend – see the daily boards outside for details. If you’re a performer, and already on site, they might just slot you in, too.